Trucking industry representatives are considering their next move after U.S. District Court William E. Smith dismissed Tuesday a lawsuit challenging Rhode Island’s truck toll program. The American Trucking Associations, which filed the suit, appears likely to either appeal Smith’s decision or to move the case to state court. Chris Maxwell, president/CEO of the Rhode Island Trucking Association, said he still believes it’s illegal for the state to toll trucks without doing the same thing to cars. Josh Block, spokesman for Gov. 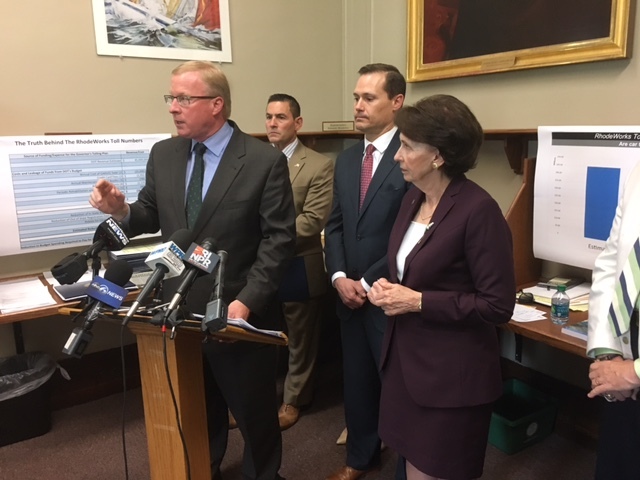 Gina Raimondo, who championed the ‘RhodeWorks’ program to improve the state’s highways and bridges, hailed Smith’s decision. Chris Maxwell of the RI Trucking Association during a 2017 news conference.